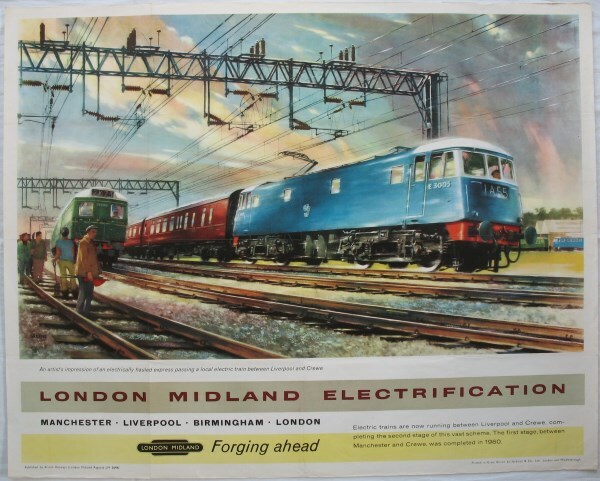 Lot 39 Q/R Poster 1961 BR (LMR) "London Midland Electrification - Forging Ahead", by John Greene. A new Class 81 speeding through Cheshire between Liverpool and Crewe. Excellent condition with folds.